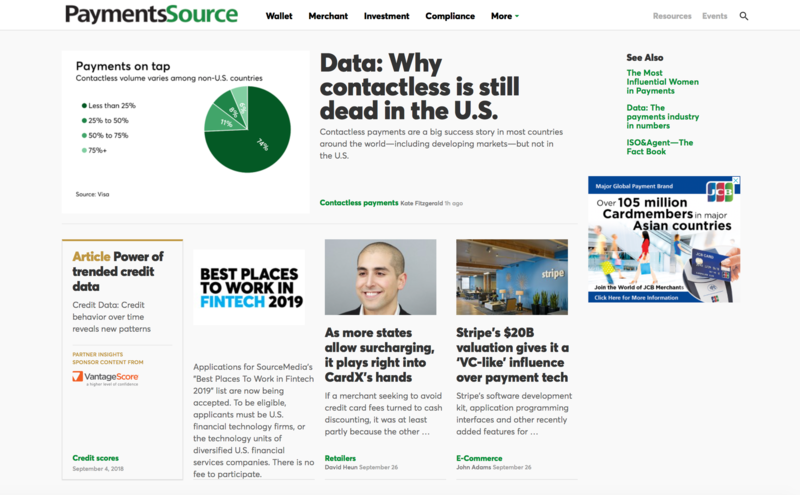 “The bulletin signals that Visa is serious about enforcing its surcharging rules, says David Leppek, a payment consultant. When Visa is alerted to an infraction it tells the bank sponsor, which then follows up with the merchant, he says. “While there is interest in both pricing strategies, surcharges apparently still are more popular than cash discounts. 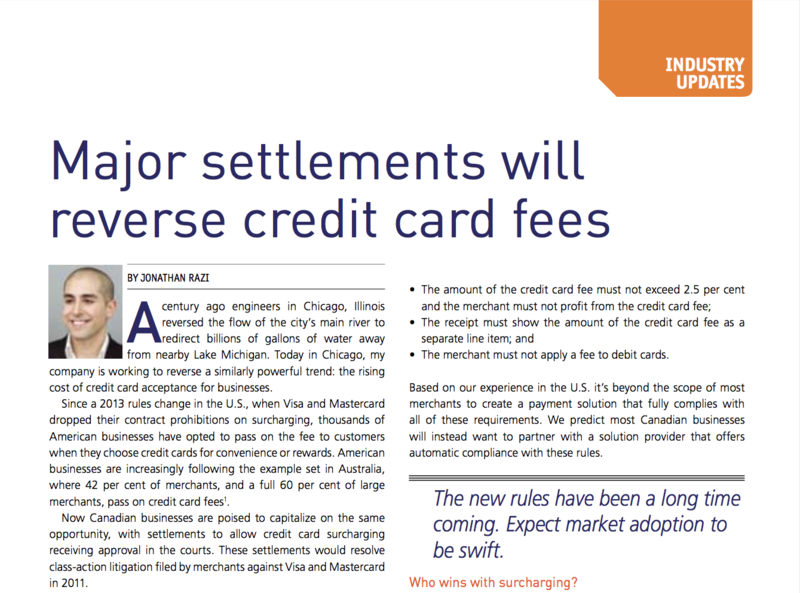 “With tremendous momentum for passing on the credit card fee—whether in the form of a ‘surcharge’ or ‘cash discount’—it’s no surprise that ISOs and merchants are asking what these rules mean to them. “Visa has released a bulletin revealing that many programs marketed as ‘cash discount’ are non-compliant with the payment company’s rules. “Now, businesses in these states have the option to pass on the fee when their customers choose credit cards for convenience or rewards, so long as they comply with the card network rules introduced in 2013. 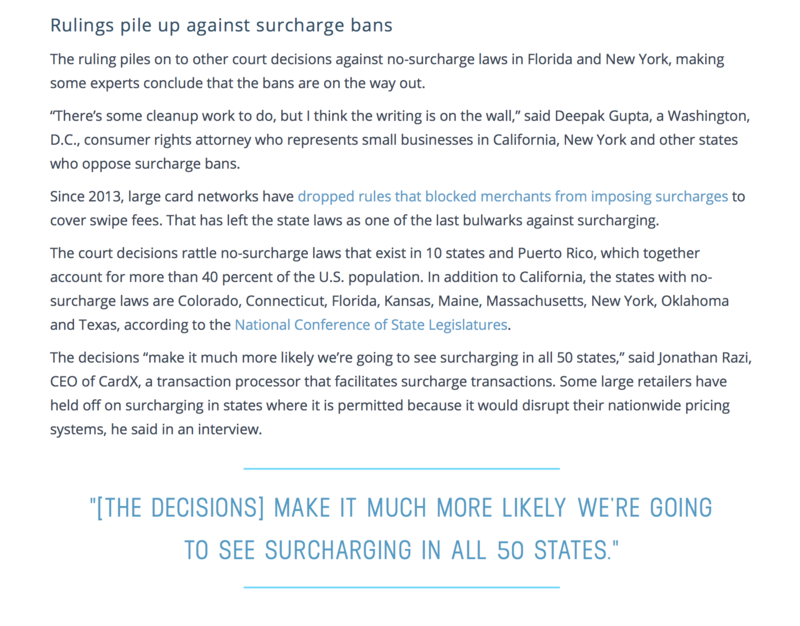 “More states are allowing surcharging, with a Fifth Circuit Court in Texas last week ruling in favor of merchants and taking the state’s no-surcharging law off the books. CardX, a leading provider of zero-cost credit card acceptance solutions, has named Venson Kuchipudi as Senior Vice President, Technology. 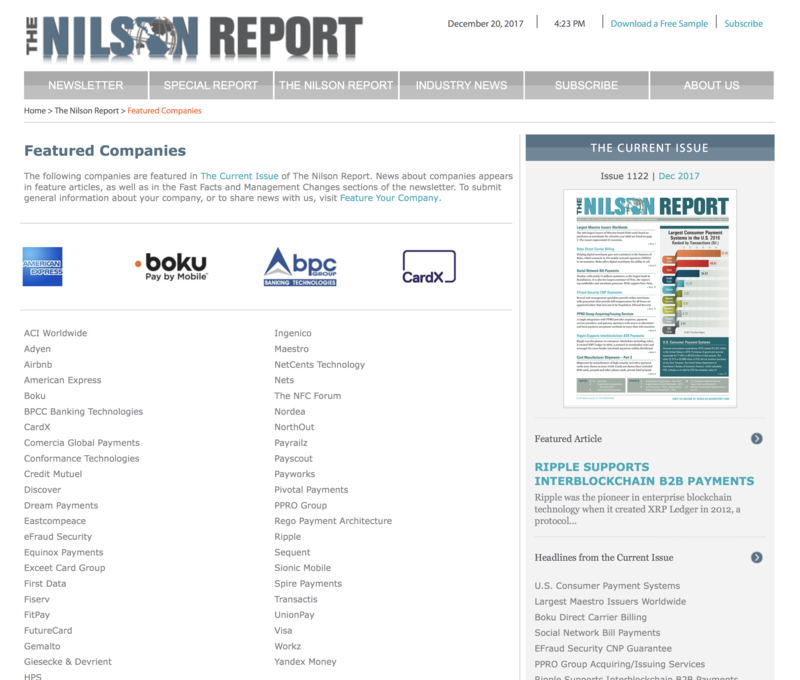 The Nilson Report is a leading source of news and analysis for the global card and mobile payment industry, providing an overview of emerging trends and innovative companies. 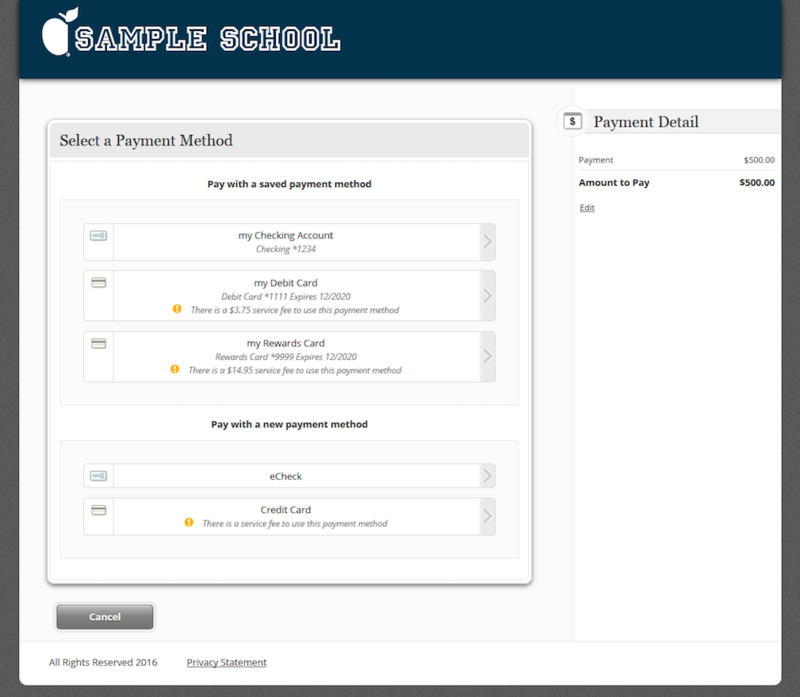 In TMS’s eWallet, students view the service fee associated with each of their saved cards. 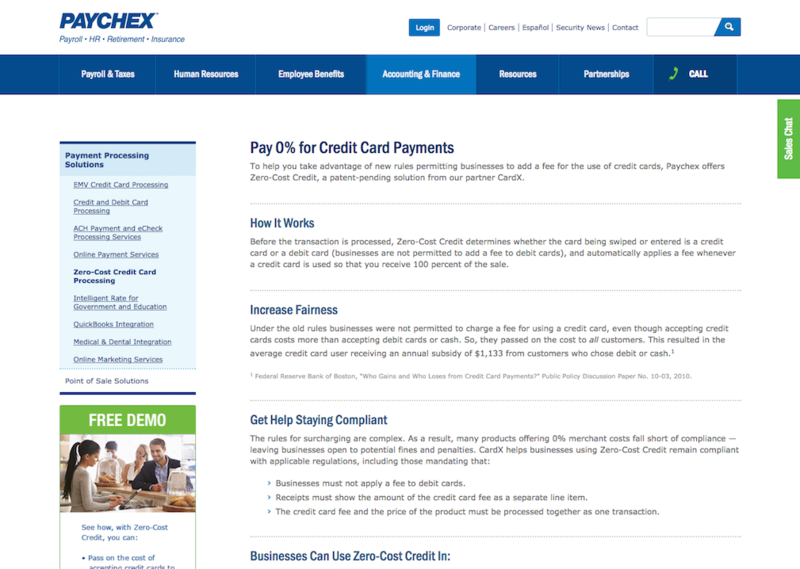 The fee is based on each card’s actual cost of acceptance. By selecting their payment method, students can choose the fee they pay.